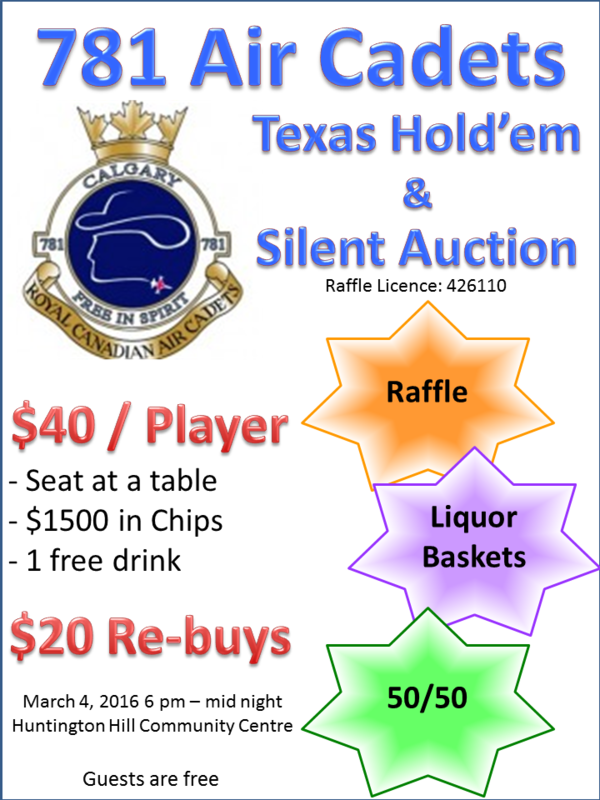 We have the new date for our Texas Hold’em Fundraiser. We will host this fun event on Friday March 4 at Huntington Hills Community Centre. Join us for this fun event. It will include a silent auction, raffle and 50/50. Tickets for poker players at $40/ticket. Each poker player may bring along one guest, free of charge. Great Prize for the winners!!! We need to get up to 140 poker players to have a successful event. You can buy the ticket to have fun or have your colleagues, friends, neighbours, families join this fun event. We still need silent auction items, please consider donation or use this letter to request silent auction items.